As the #1 professional whitening brand, Philips Zoom knows a bright smile is your best accessory for any event – but especially for your wedding! That’s why we asked several brides and married ladies to tell us about the journey leading up to their big day. 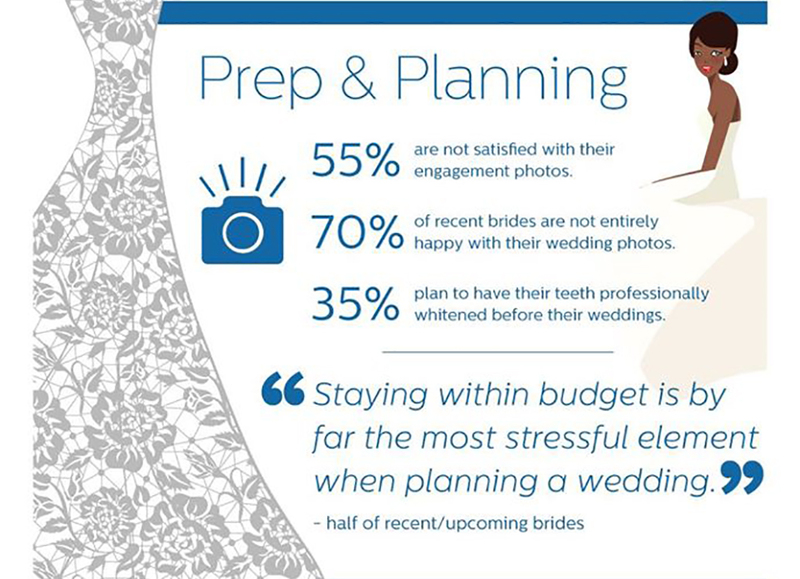 If you’re planning, prepping and seeking some advice, check out our helpful wedding report to see the latest trends to consider before tying the knot. Click on the Image to See the Full Report of the 2016 Survey!